We would like to thank all of our 2018 Passive House Canada Conference Sponsors for joining us in driving market transformation. Together we can change Canada’s built environment to one that is healthy, comfortable, and sustainable – to people and the planet. We could not do this work without the dedication and passion of people like you. SIGA is a leader in the development and production of high-performance adhesive tapes and membranes for air- and weather tight building envelopes. SIGA's vision is a world with zero-energy loss buildings. Today, approximately 50% of the world's energy requirements are consumed to heat and cool buildings. With smart design and SIGA's innovative products, this energy requirement can be massively reduced. RAICO Bautechnik GmbH develops and distributes high-performance glazing systems for aluminum timber and steel curtain walls, aluminum windows, aluminum doors, and glass roofs. A technology leader in the industry, RAICO was the first company to receive Passive House certification for THERM+ curtain wall and glass roof systems, as well as FRAME+90/120 window systems. RAICO products and services set the standard for sophisticated design solutions, enabling Blackcomb Façade Technology to fully meet our customers' individual requirements. For over 30 years, Talius has earned the trust of our clients and the reputation of being an industry leader that consistently delivers excellent value and peace of mind by protecting our clients’ homes, businesses and institutional properties from nature’s harshest elements and crimes of opportunity. Designed to perform well in any climate and resilient enough to withstand forced entry, Talius products are the trusted choice to provide shade, security and storm protection for residential, commercial and institutional clients. We specialize in product-based solutions for Healthcare, Commercial, Industrial, Data Centres, Residential and Hotels. We provide guidance to engineers, contractors, property managers, owners and architects. Knowing that energy is a precious resource, HVAC Systems focuses on innovative and energy efficient products. Our experience allows us to select products that meet the industry demands while planning for the needs of the future. 475’s mission is to supply essential knowledge and critical building components that will lead a transformation of the North American construction industry toward making durable high-performance, Passive House and zero-energy buildings. We excel because we offer best-in-class products delivered in a timely manner from regional fulfillment centers based near Vancouver and Toronto, and support them with intense attention to customer service, bountiful knowledge resources and local on-the-ground support. Spire Development Corporation is a fully-integrated real estate company offering a comprehensive package of services for residential, office, retail, and industrial projects. 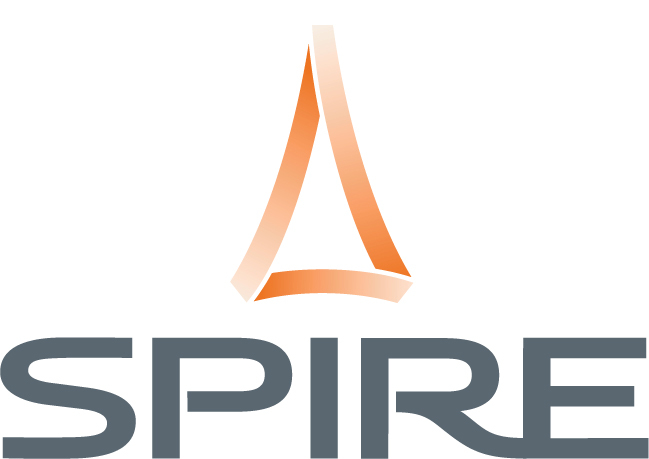 Specializing in design, construction, development, and marketing, Spire proudly partners with clients to deliver an end result that encompasses everyone’s best interests. A vision is always realized beyond the expectations of the client, with quality and timeliness being of utmost importance. 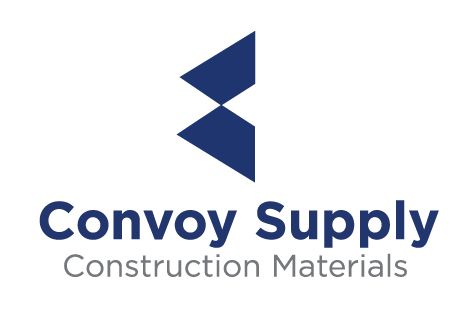 Convoy Supply is Canada’s leading wholesale distributor of roofing, insulation, siding, and building envelope materials. Our commitment to exceeding expectations among our customers is the foundation of the company. We are proud of the relationships we have built over the past four decades with customers and suppliers alike, and are honored by the friendships we share. Since we opened for business in Prince George, BC in 1972, Convoy has grown to 34 locations across Canada, 9 in the Pacific Northwest USA, and a new training and distribution center in Maryland. Recollective is a values-driven green building consulting firm focused on high-performance integrated design facilitation, Passive House, Step Code, LEED, Living Building Challenge and advanced building simulations. We have experience working on over 500 green buildings in North America. We’ve successfully completed over 70 LEED certifications, over 200 energy models, and are currently consulting on over 100 active green building projects, amounting to over 25 million square feet of development. Managing ventilation is the key to achieving healthy, comfortable and efficient buildings. As building spaces have become tighter and the connection between air quality and productivity is better understood, it is more important than ever to achieve both energy efficiency and building health. Ventacity Smarter Ventilation Management provides decreased building energy usage, resulting in lower operating costs, and improved building health and occupant comfort for better productivity, satisfaction and building value. As one of North America’s largest commercial modular construction companies, Metric Modular (previously Britco Construction) specializes in housing, hotels, offices and other types of permanent modular solutions. We’re able to de-risk projects by using innovative modular construction techniques, resulting in shortened project timelines, increased quality control and an accelerated return on investment for our customers. Metric Modular offers leading in-house design capabilities, unrivaled project management expertise and exceptional production facilities to bring to life customized solutions. At Innotech, performance is our passion. We firmly believe in manufacturing only the highest quality windows and doors with superior performance. Discover why so many progressive building professionals and homeowners specify our windows and doors for single family, low rise and high rise projects. Buildings account for 75% of all energy consumption in North America. Leveraging new materials, GlasCurtain helps to deliver higher performance building envelopes that improve occupant comfort while reducing environmental impact, reducing energy costs, and making better use of limited resources. GlasCurtain is an innovator in the field of curtain wall framing, seeking to improve the world we live in through quality research and development. Fenstur Windows and Doors is a family owned and operated company, located in Duncan, BC. We specialize in custom window and door packages using high quality components and have been in business for more than 30 years. Fenstur was the first company in Canada to Passive House certify wooden windows and doors, offering a full line of windows and doors with certification since early 2018. All of our windows and doors are built to order in either solid wood, or wood with aluminum cladding custom finished to your projects unique specifications. Small Planet Supply ULC is a North-American company dedicated to the mission of building both classic and modern high-performance buildings. Our company supplies and educates building-industry designers and builders in the use of toxin-free, energy-efficient building materials. Our partners include: SIGA, Zehnder ventilation, Sanden, Hanno Band, Thermacork 100% natural cork insulation, Prosoco, and Roxul mineral wool insulation. ZEBx is a collaborative platform and a catalyst for market transformation in buildings. Our mission is to accelerate the implementation of attractive and exemplary zero emission buildings at scale. We are a trusted advisor that connects industry to solutions, increases capacity and drives economic growth in “clean” buildings. We leverage our network and partners to offer opportunities for knowledge exchange, research, and training through a neutral, coordinated lens, from single family homes to high rise residential, institutional and commercial buildings. EuroLine Windows Inc. is an innovative designer and manufacturer of distinctive windows and doors for private residences, multi-family, commercial and institutional buildings. For over 25 years we have been manufacturing custom made, high quality, high performance window and door systems, specializing in European-style tilt & turn windows. Our ThermoPlus PHC tilt & turn window was the first window manufactured in Canada to be certified as a Passive House Component by the international Passive House Institute in Darmstadt, Germany. stich consulting & design Inc. offers a variety of services around Passive Houses (PH). We are specialized in 3D design with Dietrich’s CAD/CAM software, create conceptual, structural, architectural design with focus on Passive House design criteria and offer energy modelling, PHPP (passive house planning package). We provide building science analysis and evaluation of materials as well as planning and supply of CLT, wood fibre board and PH certified windows. Stich consulting & design Inc. is an accredited course provider for “certified passive house designer” courses by PHI. We offer yearly manufacturing European tours along with the international PH conference. At Ryder Architecture our goal is simple - to improve the quality of the world around us and, in doing so, improve people's lives. An approach embedded in the origins of Ryder which remains a touchstone today. Everything architecture is based on principles of simplicity, usefulness and elegance. It connects people to places, from the room to the city. Everything architecture relies on leadership to transcend the professional silos. It requires talented people with a passion for collaborative project working to deliver the best return on investment for our clients. Integral Group is a global network of mechanical, electrical, plumbing, and energy engineers collaborating under a single deep green engineering umbrella. We specialize in the design of simple, elegant, cost-effective systems for a wide variety of project types: residential, mixed use, critical environments (cleanrooms, laboratories, and data centers), institutional, industrial, and commercial buildings. We also provide comprehensive analyses of installations that help prioritize energy performance potential. Integral Group is widely regarded as a pioneer in building design, sustainability and performance. Creating great work through collaboration, attention to detail and experience with a keen interest in passive house and engineered wood solutions. SLA has extensive experience with complex urban sites in many jurisdictions and a particular passion for mixed-use projects that bring a richness to the urban fabric of the city allowing for people to live, work and play. Williams Engineering Canada is a collection of leaders and professionals in engineering who are dedicated to designing and creating the most innovative solutions for our clients. With offices across Western and Northern Canada, we operate everywhere from local markets to the most remote regions of the world. Our team of experts are well-informed and up-to-date on the latest technologies, which allows us to elevate the level of our work. With each new project, our team strives to deliver optimal solutions that are pushing boundaries and solving the specific problems our clients are facing. Westeck has been at the forefront of fully customizable window manufacturing for the past two decades. With recent focus on environmental building initiatives, such as Passive House, Westeck has developed a new vision: Efficiency without Compromise. By taking the past 2 decades worth of innovation into a new era of sustainability, Westeck is proud to now offer Passive House Institute Certified windows with fully customizable options. Perkins+Will is an interdisciplinary research-based architecture and design firm with over 30 years of experience in Canada and with 2,600 staff working out of over 20 offices globally. Founded on the belief that design has the power to transform lives and enhance communities, we collaborate with clients all over the world to create healthy, sustainable places in which to live, learn, work, play, heal, and move. With hundreds of award-winning projects annually, Perkins+Will is highly ranked among top global design firms and in 2018, Fast Company recognized the firm as one of the World’s Most Innovative Companies. BUILDEX is the booming voice of the building industry today. Each year, this exciting, immersive event – the largest in Western Canada – brings together key talent from across the industry to interact, learn, and discover the newest innovations of a market in constant transformation. Forward-thinking programming and a network of industry experts make this a perennially essential event where architects, developers, designers, builders, and property managers build connections on the leading edge of industry. Celebrating its 30th anniversary, the 2019 event takes place Feb 13 & 14 and is not to be missed! Diamond Schmitt Architects is a leading Canadian full-service architectural firm with offices in Toronto, Vancouver and New York. Our firm has received international recognition for projects that achieve design excellence, display a deep understanding of the context in which they are located and are innovative in the ways in which user satisfaction is provided. As architects we embrace our role in guiding and facilitating sustainable design objectives and energy efficiency on all our projects. Diamond Schmitt are actively involved in research and the application of sustainable design strategies in order to lessen this impact on the environment. Aldes Canada is the premier manufacturer of heat- and energy-recovery ventilation systems for homes, multi-family dwellings, hotels, schools and commercial applications. 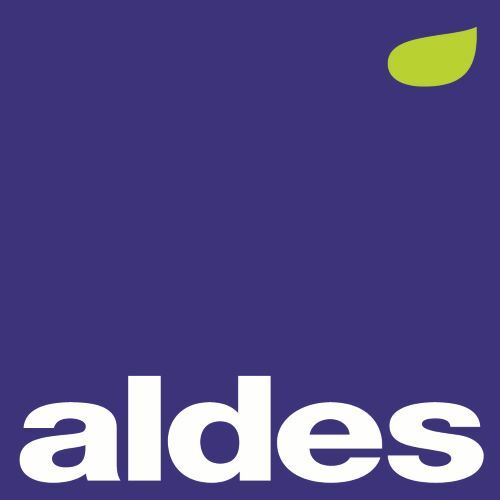 Aldes Canada is the leading supplier of light commercial HRVs and ERVs in Canada and the second largest supplier of residential HRVs in Quebec. Aldes’ products are designed for superior airflow control, energy efficient performance, and a healthy indoor environment, and all products are proudly made in Canada.